Saturday | September 2, 2017	Savour six masterful layers of delicious and tempting dimensions! Layered upon a sable dough pastry are light chocolate ginger ganache, chocolate feuilletine, chocolate sponge and chocolate mousse, finished with a chocolate glaze. 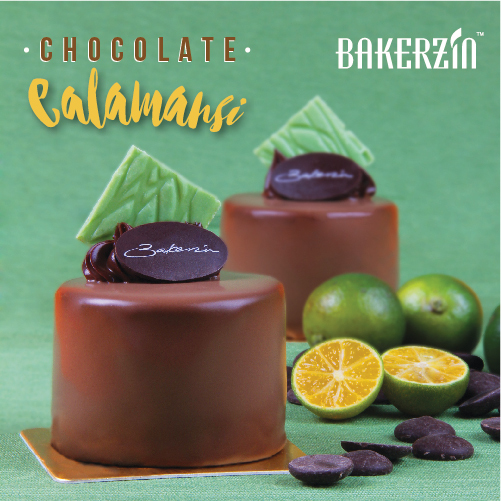 Be delightfully surprised by a burst of calamansi at the center! Get them at any Bakerzin outlet from 2 September onwards at SGD4.50 per piece!